There is plenty of street parking on Alexandra street, also some parking on nearby side streets. We're located on the corner of Alexandra street and Ady Street. 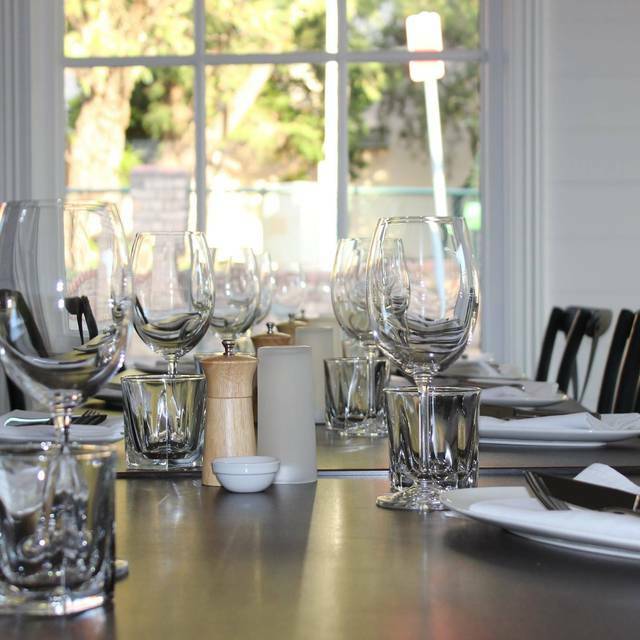 Bistro 54 is a 60+ seater heritage cottage in Hunters Hill with a casual contemporary Australian feel. Nestled into the heart of the leafy, harbour-side suburb of Hunters Hill, Bistro 54 is all about community. Their philosophy is local Australian produce and good quality food at a reasonable price. Head chef and owner Steve Medak says the restaurant is aiming to capitalise on the community feel that Hunters Hill is famous for. Our menu provides a diverse range of classic and contemporary Australian dishes with each one baptised by one of chef Steve's unique twists. Bistro 54 can also cater to large groups or functions as well. Please enquire within. A very good neighbourhood restaurant quite cosy and BYO being a bonus. My second time at Bistro 54 and I plan on going back. They change the menu monthly but if there is a particular dish you like you can request it for next time. It is the quality of fine dining without being OTT, the meals are generous and you can feel relaxed. Plus it is quiet enough to have a proper conversation. My kind of place! Excellent value and service and wonderful food. The moderate noise level made conversation possible. May I suggest the top noise level you suggest, "energetic" is only desirable if you are out with people you do not want to talk to? Our whole family love bistro 54 for dinner! Kids even beg to go! Good food, good service. A little pricey but choice of food was good. This is a lovely restaurant in a beautiful part of Sydney. There was a good choice of items on the menu and good wine selections available. The service was quite good too. Recommended. I really enjoy this intimate little restaurant. The food is delicious, presentation excellent and service exceptional. Will keep coming!! The.... BEST... DUCK... I have ever had. Tender and juicy and flavourful. Will be going back. Very pleasant evening with the new menu proving very tasty. 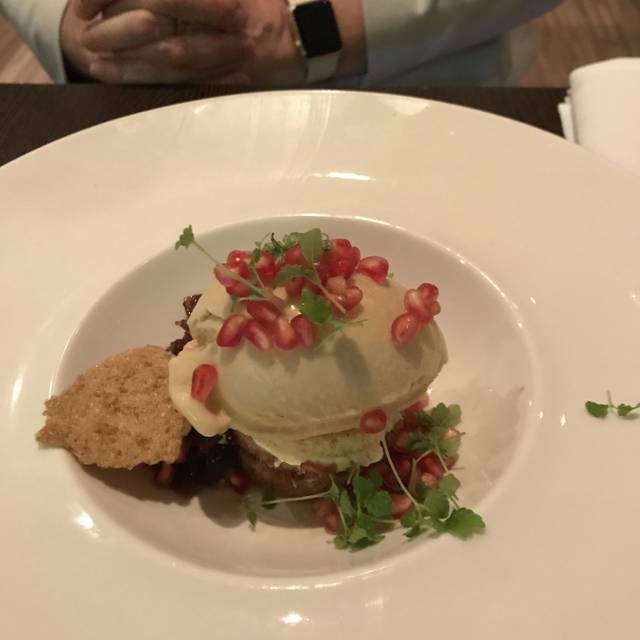 We've had other very positive experiences at Bistro 54, but on this occasion, the service was so slow, that we actually thought about walking out. There was no explanation given to us. It might be a while before we venture back. Great restaurant - live eating at Bisyro 54. It’s a firm family favourite. The food was really nice, the service excellent, and we had a very nice experience. My wife had the minute steak and I had the beef pie, which I really enjoyed. Am not a big seafood fan so would have liked a couple more meat options. Otherwise service and ambience was great. I had the chicken kiev with peas, I wouldn't recommend it. It was quite bland. We also go the beetroot, watermelon and feta salad to share, it was a good size and very tasty. Beautiful food ! Perfect ambience ! Knowledgeable waiters ! Lovely setting. French inspired meals. Some very good but some below expectations. Well priced and great to byo wine. Would try again for neighbourhood gem. A pleasant evening. Beautiful old cottage with nice ambience. Food very acceptable but not exceptional. Sides a bit expensive. Professional and helpful wait staff. Will certainly be returning and would recommend. Great ambience and service. Food didn't match the expectations. Food was pretty good, but service was not. Waiter was very uninspiring and couldn’t explain anything on the menu further than what was written. Our guest of honour told me he felt like we weren’t welcome there which is disappointing. Great food, ambience and service. Beautiful old sandstone cottage. A delicious dinner in Hunter's Hill, with efficient service. I was looking for a nearby restaurant and friends all had nice things to say about Bistro 54 - and they weren't wrong! I took my sisters here for dinner as one was on a rare visit from interstate. We started with a cocktail each and then all thoroughly enjoyed our main courses. Each one of us ordered a different dish and we were all impressed. The wait staff were knowledgeable, unobtrusive and timely. They gave us good advice about whether we would need accompaniments with our mains (we wouldn't). 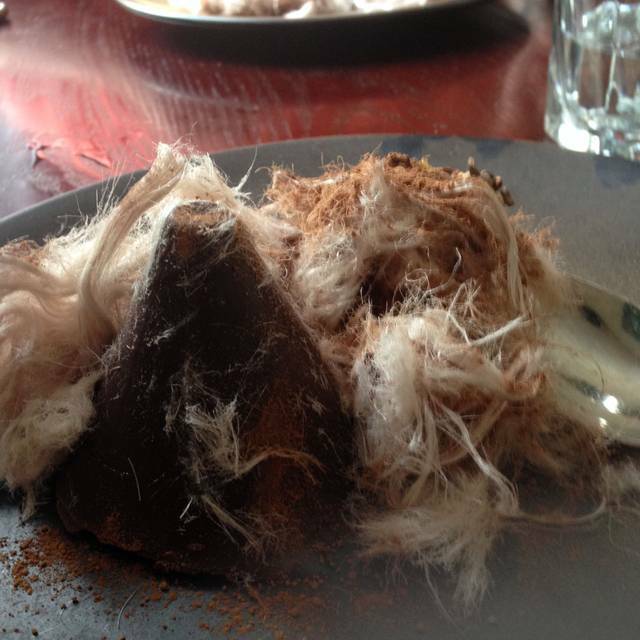 The most impressive part of the meal was my dessert - a delicious combination of chocolate, fudge, ice cream and fairy floss: chocolatey and rich without being too sweet. One of the yummiest things I have eaten in quite a while. The hot chocolate to finish the meal was also made with proper chocolate. The bill was a nice surprise - a fair price for a very enjoyable night out (BYO wine)!! I will be back. First time here, lovely touch the chef/owner introducing himself, I like it how the wine list is fairly simple, could do with some craft beers, for the beer drinkers amongst us. We had the minute steak and duck, both cooked to perfection. We are not big eaters, I would have loved to have had space for their signature dessert. Espresso coffee was up there with the best, will be back with a larger group next time. Great menu options , glad it’s been updated to the winter menu. I would recommend having lovely white tablecloths to elevate the atmosphere! I love that it’s byo, the staff couldn’t be more informed and helpful. Great local restaurant. Bistro 54 has a great chef and attentive wait staff. It is BYO, but we always order at least one bottle off the diverse wine list. It is always a pleasurable dining experience. Second time here and it took us a lot longer than we had hoped to come back the second time. Minute steak was just as good as the first time! Our entrees were delicious with great balance of flavours and textures. 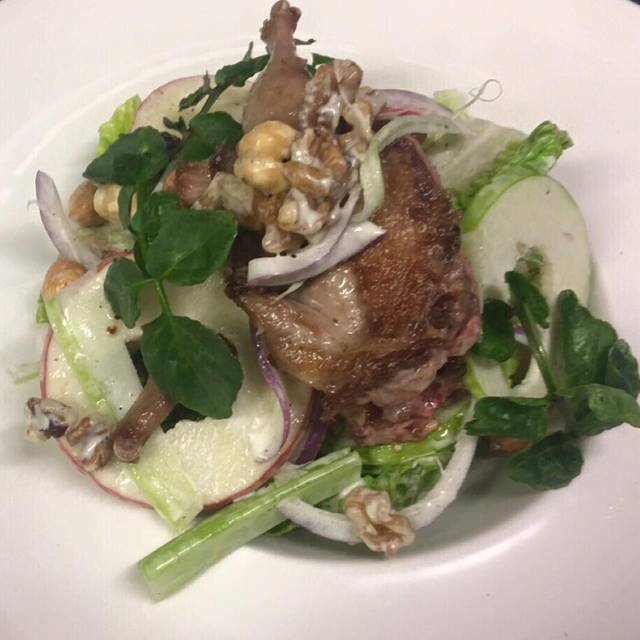 For mains, we also had the duck confit that was cooked well enough to have the crunchy outside and soft inside. The duck fat potatoes and pickled cabbage definitely balalnced well. Dessert was fantastic as before. We had the flavours of banoffee pie which I thoroughly enjoyed and hubby enjoyed the creme brûlée. We look forward to bringing friends or family next time! 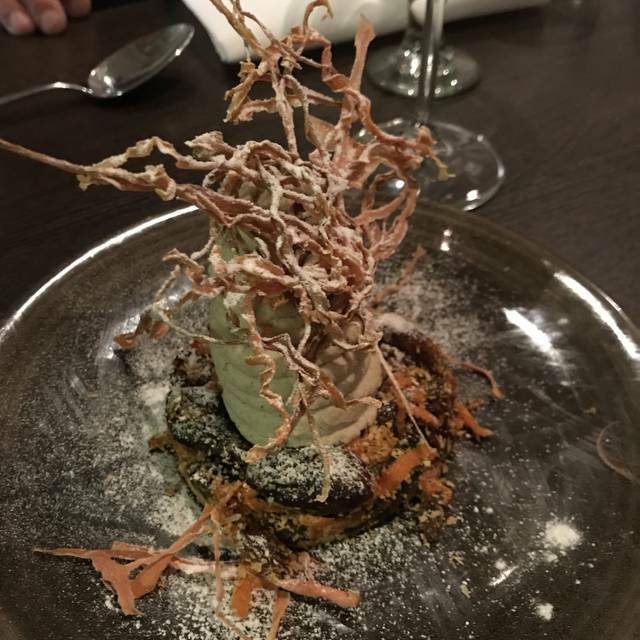 We always enjoy our evenings dining at Bistro 54. The food is excellent, great atmosphere, very cosy and homely. Third visit to the restaurant and it never disappoints. We have dined here several times. It is a local restaurant for us. We always enjoy bringing friends here. The food is exeptional, creative and the experience is above all enjoyable. While the dinner was good I cannot say great. I leave that for truly exceptional food. I've had many others of the same quality of food for the same price, if not a little cheaper, and some definitely more expensive, both here and overseas. I appreciate this is to be expected in this day and age, especially in a major city. That said I could have purchased the produce and made the same myself for far cheaper, and I do, most to all of the time. I rarely eat out due to my desire to know where my food comes from and how/who prepares it. The primary & mains were good. Definitely not the quality of prosciutto I purchase, light on the fig. Bread was nice, as was the in house butter, not smokey really (I don't like much 'smoke', so odd for me to say not enough). Calamari was light, coating soft for my liking, & not a lot, about 8 small pieces, but it was a starter in a decent restaurant, so again, to be expected. The gnocchi was nice, but not traditional, very large 'pillows', 3 cheese not strong, a good balance there. Pork was cooked well, tender, a little too much lentil base struck us as out of balance, again light on the accompanying fig, but all in all a decent dish. The desserts, we felt, were the fail. Neither traditional, both 'deconstructed', apparently that's what the local diners prefer. Neither were balanced. Too much cream in the banoffee, biscuit crumb a sandy texture, plain taste, a small amt of caramel under an out of proportion amt of cream. Lime curd c/cake slightly better due to the flavor. A drop of the lime vesicles not enough. 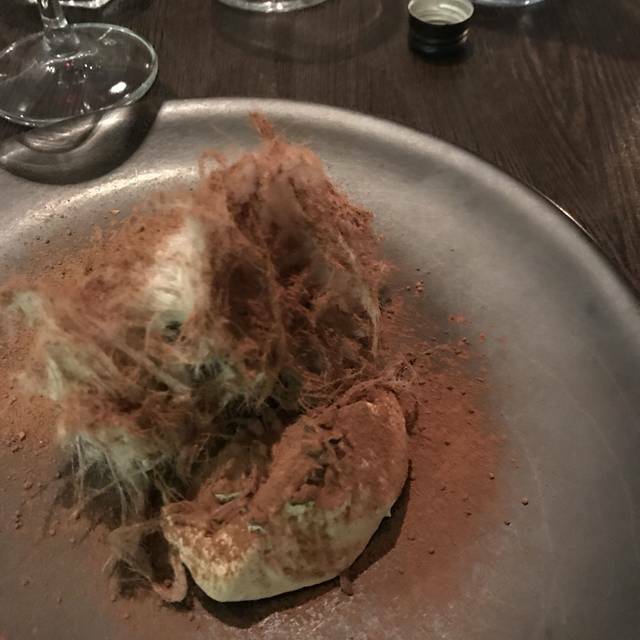 Two pastry shards that had no real flavor disappeared on the tongue, & the cream/cheese portion had the consistency of meringue that had been whipped and left to melt. Fair call to the owner, he came, met & chatted with us. I credit that, and they did remove the desserts off the bill. Excellent service hence the 5 stars. I mentioned to Steve it's all personal taste. I get it that you can't make everyone happy all the time. A great find - boys loved the steaks - we will be back! Brilliant in every way. Food, service, attention and friendliness truly commendable.